You’re all set (or still getting ready) for a fresh school year. 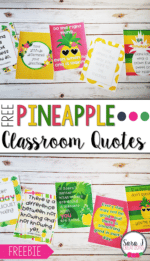 Whether it’s cactus, llamas, pineapple, superhero, ocean, camping, watercolor, or chalkboard, you’ve found the perfect decor for you, your students, your classroom. So why should you try something a little different with your table signs, something that doesn’t coordinate with that perfect decor? We’ve all noticed the vibrant color, shape, letter, and number table signs in pre-school and kindergarten classrooms. Somehow, these seem to peter out to just numbers or something related to decor for first grade and beyond. In any case, table signs create an easy way to refer to groups of students in the primary classroom. I was lucky to have the opportunity, as a teacher, to observe and work in a variety of teachers’ classrooms. One year, I noted a second-grade teacher who had created table signs to represent each of the American Indian cultures her class was studying. Why Should You Try Table Signs for Learning? So much to cover, so little time is a common refrain for teachers. The more you can integrate your standards and learning objectives into your everyday routine, the more content you can cover. Anyone can observe one of your current standards or objectives on display at a glance; whether as a daily reminder for students or during an administrative walkthrough or visit. 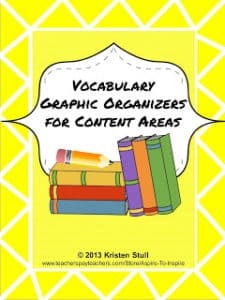 You provide the opportunity for repeated exposure of visual content and vocabulary for your struggling learners. Can you think of any more compelling reasons? 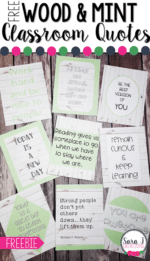 Do You Need Ideas for Table Signs for Learning? Try anything that can be displayed with a picture. Consider content that typically requires more exposure to learn. Think about the different ways you can call each group. Can you name the picture, use content vocabulary, give characteristics or definitions? For example, hang pictures of coins. Call your groups in different ways on different days. Call them by the name of the coin, by the value, by the presidents, or how many of each coin are equal to a dollar. Use these ideas as a springboard. Display words or pictures with phonetic elements you want to highlight. Try solid shapes, clocks with set times, coins, fractions, instruments for measurement, tally marks, ten frames, base ten blocks, patterns, ordinal numbers. Dig into science with different kinds of motion, plant needs, animal classifications, states of matter, life cycles, and weather. Enhance social studies content with positional concepts, map symbols, occupations, famous Americans, major holidays, American symbols, or natural, human, and capital resources. Click on the highlighted words, Crayon Tally Marks Table Signs for Learning, to download this freebie from my TpT store to get you started. Photo of crayons in title image by Snapshots and Smiles. Hello! I'm Judy, a wife, mom, grandmother, and retired teacher with more than 35 years experience. I love creating and sharing engaging K-2 math and literacy resources. Every resource is thoughtfully crafted to support you in meeting the needs of every child. 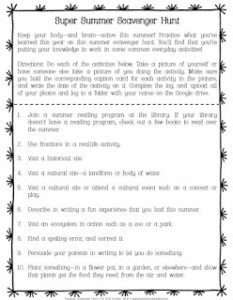 Come visit me on Teachers Pay Teachers, Pinterest, and my website, Just Ask Judy, for more teaching ideas and resources.